Life is full of choices. Keep your shoes like precious treasure in a shoe rack, or leave them scattered in the house. Those who love their shoes will fall in love with this two-door Dane shoe cabinet. In a compact size, features for ventilation and air circulation, stylish doorknobs and neat drawers to arrange all kinds of shoes, this one is also easy to clean. 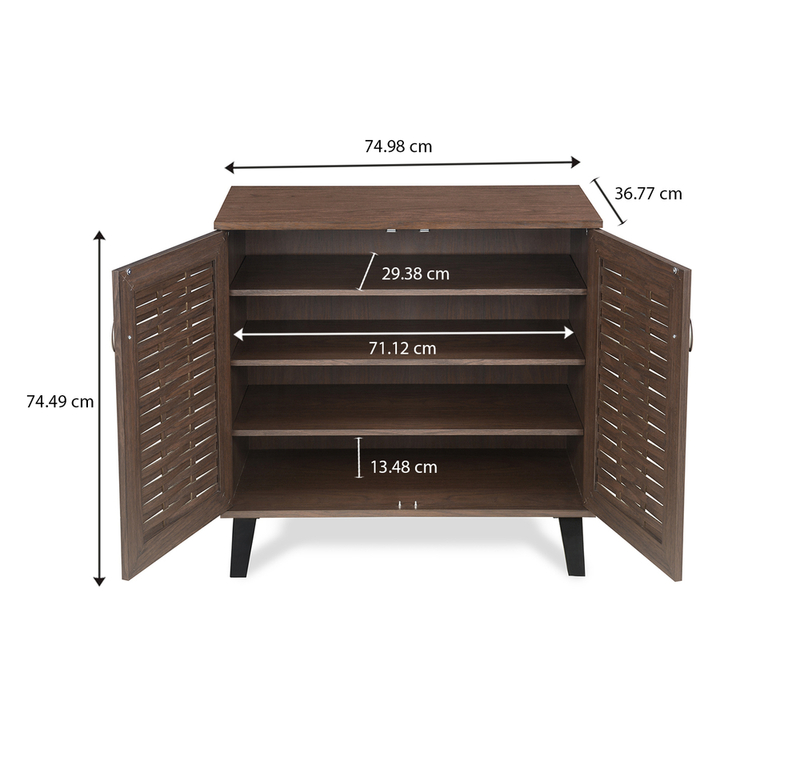 When you’re planning to redo your home décor and furniture, make sure this shoe cabinet is on the list.